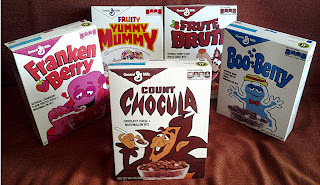 This third entry is part of a series that celebrates the return of the vintage packaging for the "Monster Cereals" from General Mills. This retro packaging was only available in the United States, but many industrious Canadians (like me!) found a way to get their hands on a few boxes. 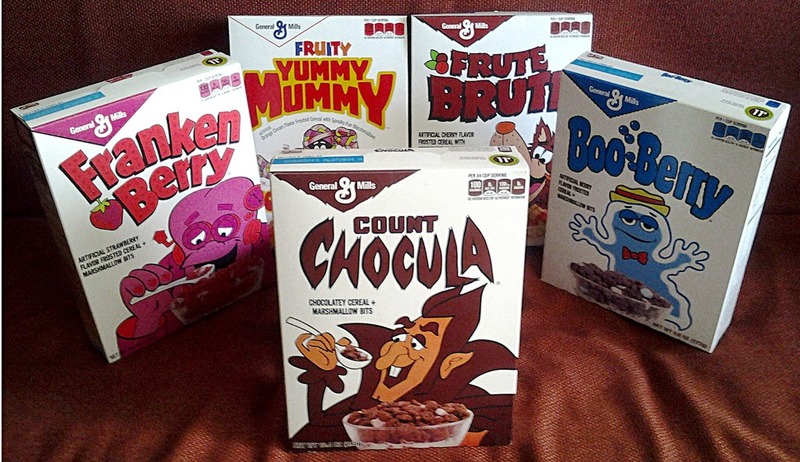 It's taking me a while to work my way through each of the cereals, but I'm pushing on, despite the constant sugar high and the adverse affect that so much artificial colouring is having on my, um, system. I recall watching episodes of Kolchak: The Night Stalker (1974) on TV when I was a kid, but I didn't truly become a fan of the series until my adult years. This became the first in a long line of supernatural detective-type series that I've since enjoyed, which includes the likes of The X Files, Blood Ties and Supernatural. 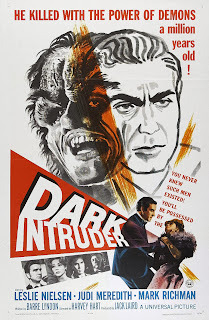 Prior to Kolchak, there were a number of one-off productions in the same vein, most of which were failed pilots. These included The Norliss Tapes (1973) and Dead of Night: A Darkness at Blaisedon (1969). I can now add another to this list! 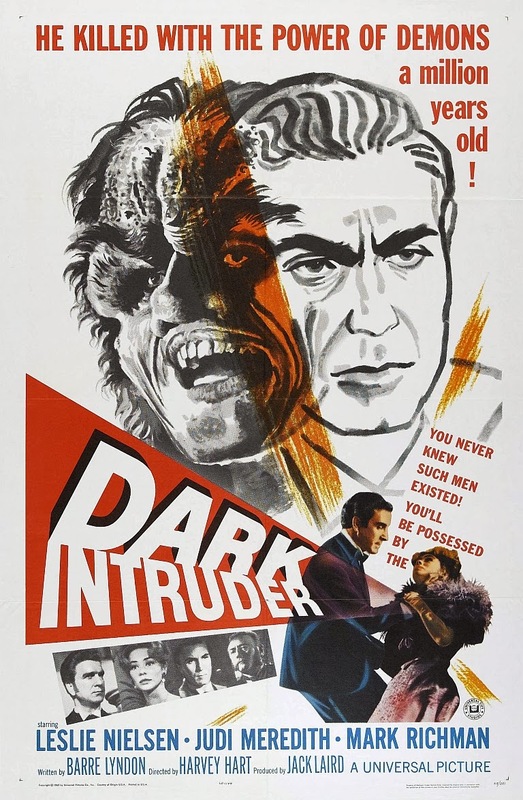 Dark Intruder (1965) was the pilot for a failed television series to be called The Black Cloak, produced by Alfred Hitchcock's Shamley Productions for NBC. For some reason, the pilot was not shown on television, and instead was sold to Universal Pictures and shown theatrically (albeit in a limited release). I was surprised by the quality of the story, and of its star, Canadian actor Leslie Nielson. He plays a supernatural detective in 1890s San Francisco, who investigates a string of murders that hint of the occult, which he learns are part of a larger scheme to bring forth a Sumerian demon. 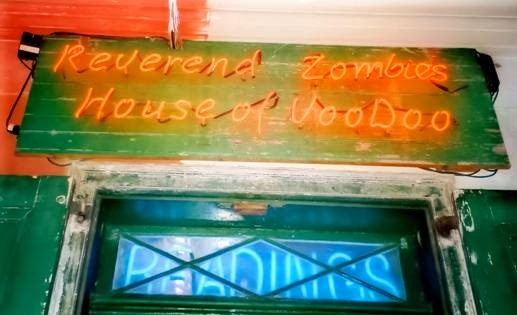 If you have ever walked the dark, rainy streets of the French Quarter at night, you have seen the voodoo shops selling their gris-gris and John-the-Conqueror Root. You've seen the old woman in the French Market whose pointing finger foretells your death And if you know the right person to ask and you ask in the right way, you'll be shown to the vampire clubs. I've been in those clubs and seen people who believe with their heart, body, and soul that they are real, live vampires. And some of the people in those clubs are scared to death of a select group of vampires who have only appeared there a few times, and always in the darkest of night. By day, of course, the vampire clubs are closed and locked or turned back into regular tourist bars . . .
Toronto Public Libraries: Help Stop the Bleeding! More austerity is planned for Toronto's public library system in the 2014 City budget, unless we all act together to change it. Did you know that adequate funding of our public libraries would cost just two cents a day for each Torontonian? However, the proposed 2014 budget shortchanges the TPL by refusing to fund their plan to make our public library more accessible, by expanding the number of hours branches are open. And, if the City’s budget proposal is approved as is, the TPL will be left vulnerable to the grinding effects of inflation that slowly eats away at its ability to serve all of us.